Eight concentration camp suspects have been identified by “Nazi hunter” Jens Rommel and are now under investigation for their involvement as accessories to murder. The head of Germany’s main agency for investigating Nazi crimes, Jens Rommel, told dpa on Tuesday the suspects included four men and four women who worked in the German concentration camp Stutthof near Danzig in Poland. Preliminary investigations involving thousands of cases of murder have now been submitted to various prosecutors’ offices, according to the Ludwigsburg-based Central Office of the State Justice Administrations for the Investigation of National Socialist Crimes. While the men worked as security guards, the women were employed in jobs such as typists and telephone operators at the camp, Rommel said. 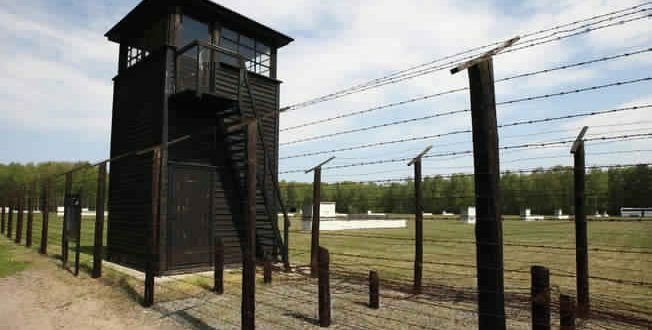 Investigators have in recent years turned their attention to tracking down those who might have held low-level positions in the network of Nazi camps. The eight suspects were born between 1918 and 1927 and could now face charges of accessory to murder. The Ludwigsburg-based investigators are still trying to locate additional suspects who worked in Nazi camps such as Bergen-Belsen and Neuengamme as well as Auschwitz and Majdanek.